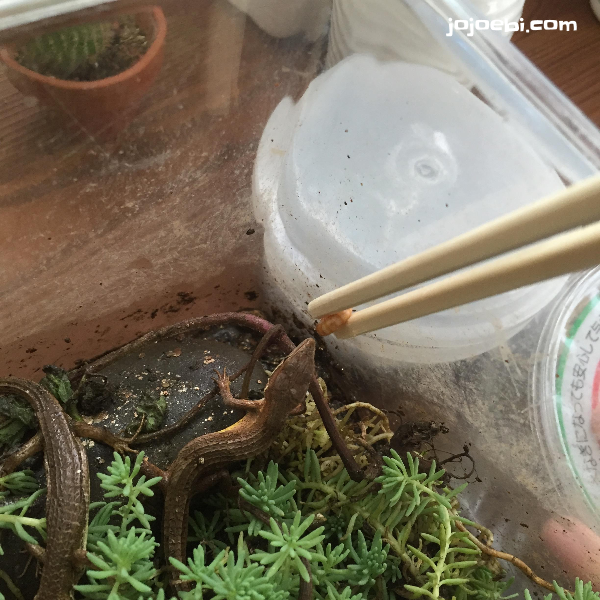 Ebi-kun has been really good at looking after the lizards, going out after school and catching food for them. Problem was that this meant nothing else was getting done! 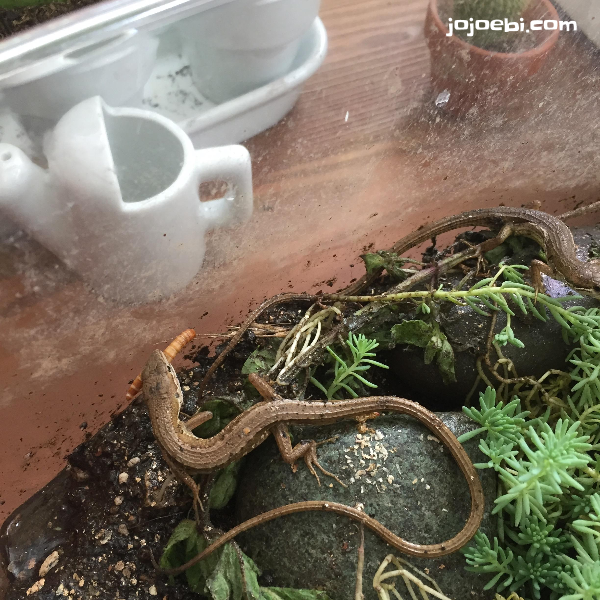 So he and daddy went down to the home centre and bought a box of mealworms (which incidentally have to be kept in the fridge, not so happy about that bit) The lizards seem to like them though! He also moved them to a bigger tank. Out of the 3 eggs only one looks healthy, we are hoping it hatches before we leave but it's cutting it fine! As far as pets go, I kinda liked these guys, a bit more interesting that the beetle, that's for sure!